You'll be £12.99 closer to your next £10.00 credit when you purchase Foul Deeds and Suspicious Deaths Around Uxbridge. What's this? 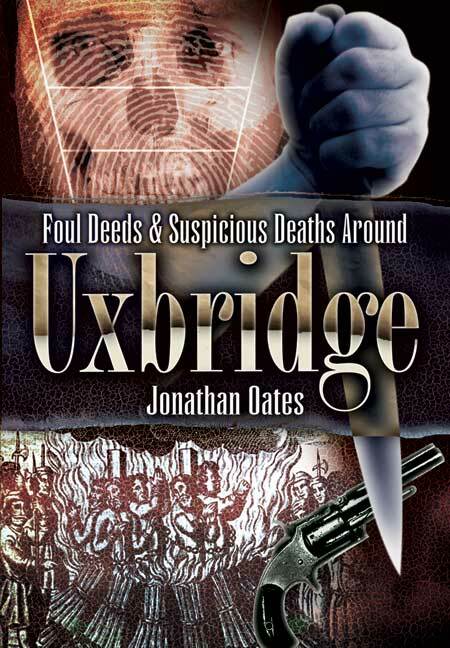 Foul Deeds and Suspicious Deaths Around Uxbridge takes the reader on a sinister and sad journey through centuries of local crime and conspiracy, meeting victims and villains of all sorts along the way. There is no shortage of harrowing - and revealing - incidents of evil and despair to recount from the earliest recorded history of the Uxbridge district up to the present day. Jonathan Oates's fascinating research has uncovered some grisly events and unsavoury individuals whose conduct throws a harsh light on the history of this suburban area west of London. His book records crime and punishment in all its dreadful variety. Among many acts of violence and wickedness are the burning to death of five Protestant martyrs and the execution of a turbulent priest in Tudor times, a family massacred at Denham in 1870 and several brutal murders that have never been solved or explained. Cases that stand out as particularly shocking or bizarre include a son who was killed by his mother, a woman who died after an illegal operation, the Uxbridge tea-shop murder of 1951, and a man tried for manslaughter and later murder in West Drayton who committed suicide two decades later. This chronicle of Uxbridge's hidden history will be compelling reading for anyone who is interested in the local history of the area and in the dark side of human nature.